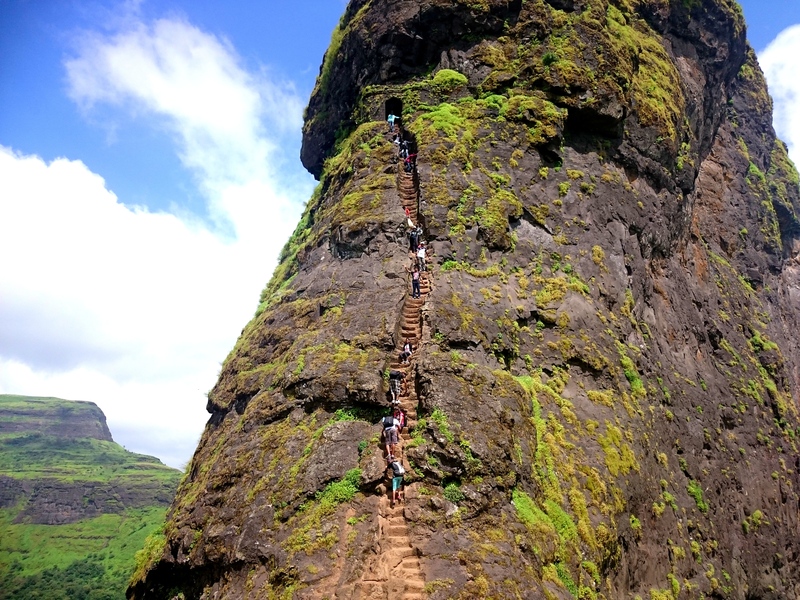 Harihar Fort also known as “Harish Fort” lies in the trimbakeshwar range, is at a height of 3676 ft above sea level. The fort appears to be rectangular in shape from its base village and is located on top of a triangular massif with all the three sides being vertical. One has to reach the fort through a 200 ft high rock cut staircase inclined at an 80 degree angle. 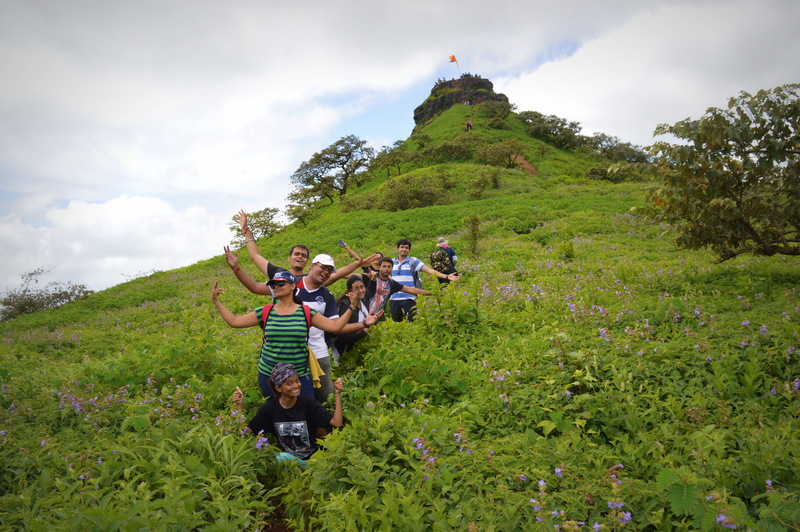 I along with my 7 other mates from Gujarat registered for this one day trek with Trek Mates India. 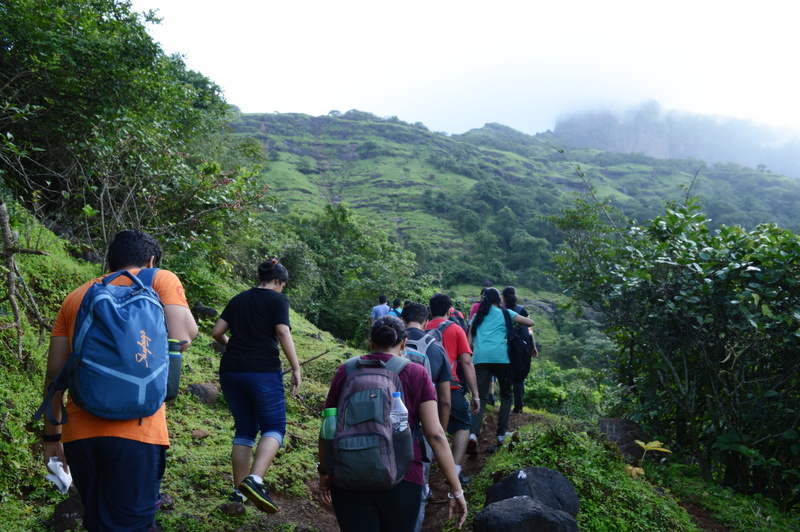 All the trekkers (33 of us) reached the meeting point at Dadar, Mumbai from where we took an overnight bus at around 12:00 PM and reached the base village early by 6:00 am. 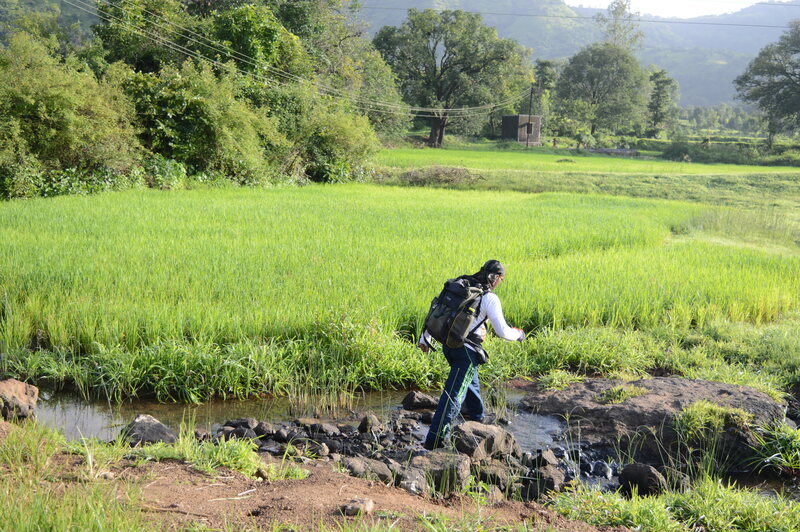 One can reach Igatpuri via Kasara or Nasik. From Igatpuri board in a bus for Trimbakeshwar and alight at Nirgudpada, the base village of Harihar. Ahead of Nirgudpada lies the village of Kasurli. 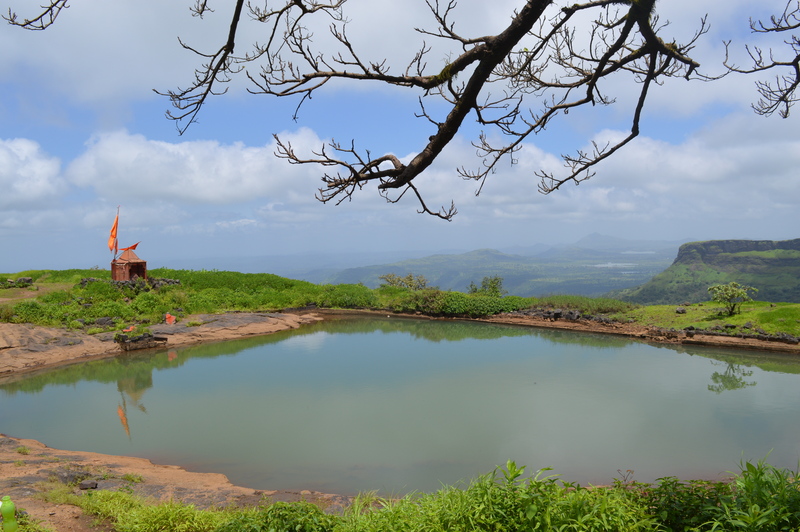 One can reach here by boarding the bus of Igatpuri ->Trimbakeshwar -> Khodala. 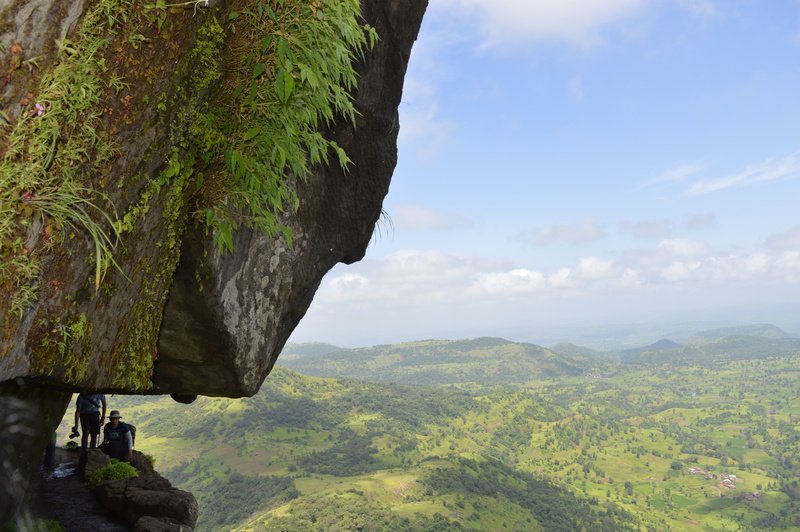 Monsoon time is best as the views are awesome, but one have to be super cautious while climbing the ladders. The trek can be covered in one day. The time required is maximum of 3 hours each way, reaching the hill and descending back to the village. 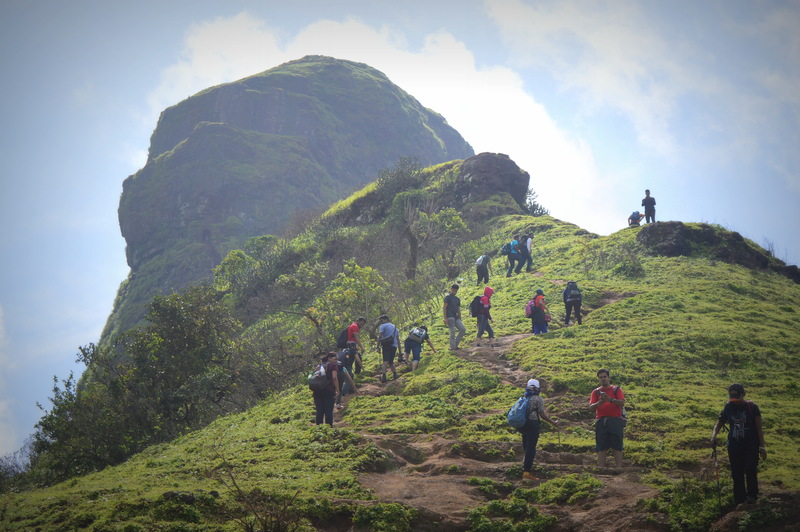 Though the hill looks difficult it can be rated as a medium trek. The trek till the hill you see below is simple and easy, but one have to be little careful while climbing up as well as descending. The reverse descend is suggested here because the steps are very steep. There are grooves in the ladders for grip which are very useful for both ways. We had our breakfast at the base village at around 7-7:30 am. After introduction we started from the village, soon we reached a point with a small kund and a shivji temple which is a good resting zone. The hill point is the main thrill of the trek. There are more than 100 ladders here and only one person can walk at a time, you have to make space for people getting down, actually stop for a while as it gets difficult for two people at one time to cross. Once you cross the ladders you reach the rocky phase where you will get to see some breathtaking mountain views. We reached the top and spent some time getting our free fish pedicure. We searched for some shade beneath a tree and made it our lunch point. 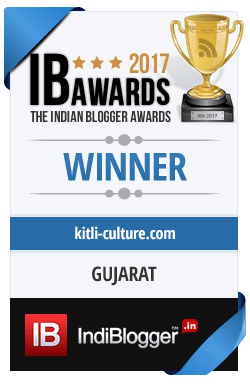 The Gujju Gang had some great food and chatnis to add more to the memories. Post lunch we explored the top and crossed a little valley of flowers zone to reach at the top of a small rock where we had some great groupies. 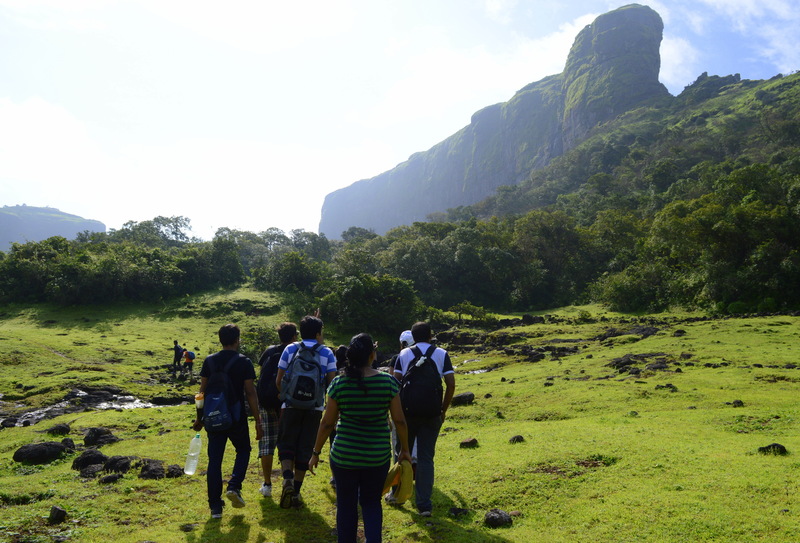 I don’t recommend this trek for first time trekkers specially if they have height phobia. 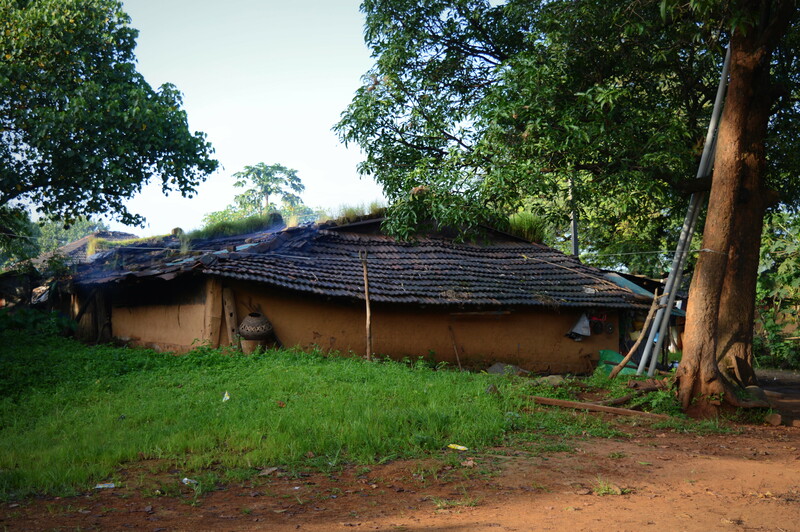 There is no facility of water or food once you cross the village during the trek, except at one point just when you start to climb the hill, where villagers sell some biscuits and you may also get water. After that point if you are short of water, you need to get it from the running streams. The base village..Our breakfast point! 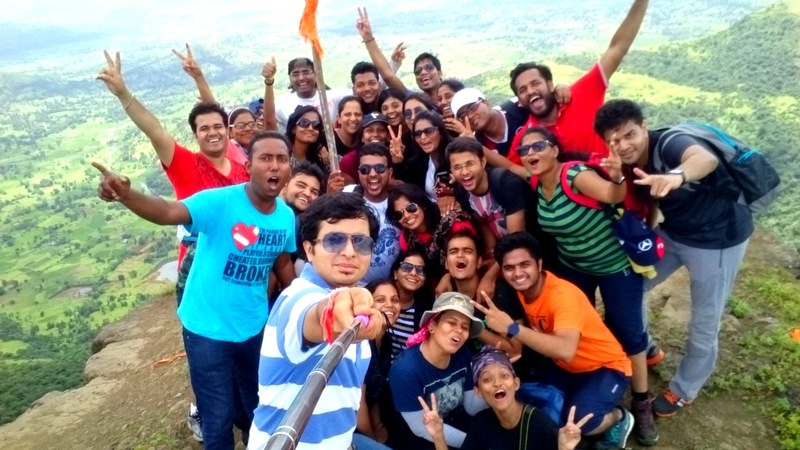 The Hanuman temple at the Top..
Groupie at the Top ! Congratulations! Your blog post was selected for Tangy Tuesday Picks edition on September 15, 2015 at BlogAdda. Nice post. I had never heard of this place before. Send to be interesting. Wow; looks really challenging. Nice post Polomi. Amazing picture of the trek.I had no idea such places existed. Thanks for sharing!